What is the role of open interest in futures markets? Blog » Derivatives » What is the role of open interest in futures markets?  When we look at a certain stock for trading, there are certain parameters we look at before we start investing in that stock such as technical parameters, fundamental parameters, futures and options parameters. One of the most important futures parameters is the Open Interest. When we talk about ‘open interest’ in the context of futures market, it is basically the total number of open contracts in the futures segment. In this article, we will discuss about the role of open interest in the futures market. In the futures market, there is a buyer and seller and together they make up one contract. Open Interest is defined by the number of open contracts in the market. The changes in open interest whether an increase or decrease in the number of contracts in each stock is recorded both during the live market and at the end of the day. This is shown by the positive or negative change. We can see the open interest data at the end of the trading session on the NSE website. This screen tells us the change in Open Interest as of 9TH July 2018. We can see that the stocks are listed in the ascending order from the most increase in the open interest to the most decrease in the open interest. We can see that high open interest addition in the stocks like Hexaware Technologies, TCS etc. When the open interest increases with the increase in the price of that particular stock then it is said that open interest is confirming the uptrend. Similarly when the open interest increases with the decrease in the price of that particular stock then it is said it is confirming the downtrend. Here we can see that if the price increases with an increase in the open interest then it is a bullish signal as more buyers are entering the market and purchases are being made aggressively. Increase in the price with the decrease in the open interest can be taken as a bearish signal. This market condition takes place as there is a short covering in the market. This situation arises when the money is flowing out of the market. After the short covering, the prices will eventually decline. If the prices decrease with the increase in the open interest then this indicates that new short positions are taking place. A decline in both price and open interest gives a bearish signal. On the NSE website, we have seen that the open interest in TCS has increased to 49,181 contracts as of 9th July 2018 compared to 37,794 contracts on 6th July 2018. There was an increase of 11,387 contracts with % change of open interest of 30.13%. We can see that there was an increase in the volume on 9th July 2018 as compared to 6th July 2018. This could have been taken as a bullish signal in TCS. As we can see in the Daily chart of TCS that it is already in uptrend, with the increase in volume, open interest and price we can interpret that TCS could stay bullish. There were few corrections in between but TCS is still bullish and open interest also confirms this. We can also do this Open Interest analysis using StockEdge. There are future scans present in StockEdge. It has scans like open interest scans, long position scans, and short position scans. In the open interest scans, we can see the companies in which there is a high increase or decrease in the open interest. It automatically gives us the list of the companies with high or low open interest. We can see that TCS has come in the list of increase in the open interest. When we click on TCS we can see the present, near or future month open interest as well as cumulative of all these three months. As discussed, the Open Interest helps the traders in the futures market to get a sense whether the market is getting weaker or stronger. This is the main role of open interest in the futures market. We should not fall into the trap by just analyzing the number of open interests in the future market but we should analyze it with respect to prices and volume. This is the most common mistake the traders do while analyzing the open interest.